This is a video from Delaware State Rep. Joe Miro, (R) Pikes Creek. In it he proposes the idea of bringing ballot initiative and referendum. This could be the worst idea ever. 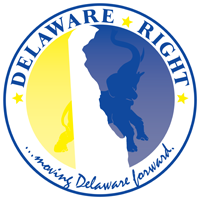 While the argument for ballot initiative and referendum sounds good and logical, when you take a look at how they would play out, especially here in Delaware, one might reconsider even considering the idea. First of all our government is a representative republic, not a pure democracy. Again, while allowing each citizen to vote on laws may sound good, we need only look at the history of other states, such as California to see the gaping flaws. So maybe you think that here in Delaware we could have staved off homosexual marriage, and other social legislation had we been able to place the question on the ballot. Well how has that worked in other states that have done just that? In every case where such legislation has been voted into existence according to a ballot initiative, the law has been overturned by the courts, so instead of the people deciding, or even their elected representatives deciding, the courts have had the final word. And once the precedence has been set, it has now been carved in stone. The real problem here in Delaware, especially for conservative citizens, is that the population centers that would surely set the agenda of initiative and referendum are in the liberal bastions of New Castle County. Imagine having had the ten cent a gallon gasoline tax put on the ballot. A large majority of citizens in NCC use public transportation and would not have been effected by the tax. This makes it very likely that they would have been lead into voting for the tax. You can apply this equation to almost every type of legislation. 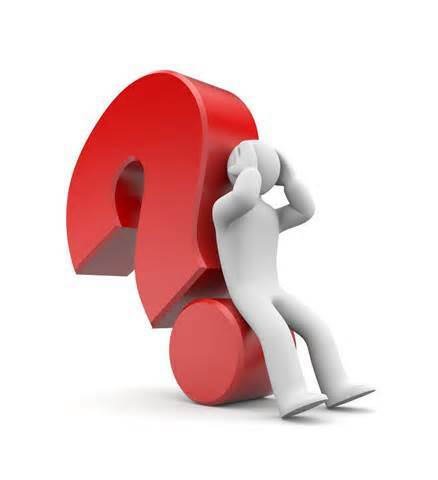 The other problem that I see coming from initiative and referendum would be the flip, flopping of the roles of the voters and the elected officials. We would go from the people informing the elected officials how to cast votes on important issues, to having the elected officials becoming little more than lobbyist for issues. Also imagine if the pendulum of ideology were to swing too far to the right, every tax increase, no matter the need could be voted down. To believe that every increase in unnecessary is unrealistic, yet there are people who feel this way. Imagine all proposed projects could be voted down, all social entitlements could be passed. A pure democracy is a recipe for the destruction of our system of government. Those who are in favor of initiative and referendum are either lazy, or playing to the uniformed frightened citizens. Initiative and referendum are not in line with what our Founding Fathers put into place, it is actually more like the soviets of the Russian revolution. 6 Comments on "Worst Idea Ever!" I totally agree with your proposition that it would be the worst idea for Delaware. The proof, look at the referendums issued by the school districts. Up until very recently, the only thing the districts had to say to sell a million dollar referendum and corresponding tax hike was that it was “for the children”. The same small percentage of special interest voters would come out and pass the referendum with no questions asked. A few more taxpayers have come out of hibernation and vote in referendums, but not enough to change the outcome on the second referendum. Referendums for school districts should be abolished. The State (General Assembly) should be the only body in Delaware that can impose a school tax. This process is open, transparent and we can hold them accountable. The taxpayers would have a fighting chance. Cudos for Rep Miro for proposing initiative and referendum. He is an advocate for giving people the power to make decisions that will benefit the people. The power to govern is derived from the consent of the people, according to the people. Miro has been listening to the IPoD people, good for him. I would like to propose a referendum that Frank Knotts be removed from the ranks sentient human beings without the right to redress for the people decision..
How do you know “a large majority of citizens in NCC use public transportation NCC” ? It might interest you to know that Delaware is the only state with neither initiative nor referendum. It seems rather odd for someone so supportive of democracy to support that status quo. My biggest problem with both referendums and initiatives is that it leaves legislators off the hook for deciding controversial votes. A legislator can simply avoid the vote by saying he is awaiting the will of the people as expressed by an initiative or referendum. As for the motivation for this, this is just the kind of thing that Joe Miro likes. I don’t see the Democrats of the House or Senate passing this legislation. Delacrat and Geezer, you really think that more people ride public transportation in Kent or Sussex than do in NCC? Okay. Just as I don’t care what other states do with their sheriffs, nor do I care how other states handle their law making, I live in Delaware, and I would prefer not to have people in NCC deciding more than they already do for the rest of the state. And by the way Geezer you have been reading my post long enough to know that this is a consistent view point for me, I have written in the past against RAI, usually when Not Don Ayotte was writing in favor of it. We do not live nor did our Founders intend for us to live in a pure democracy. We live in as our Founders intended, a representative republic.